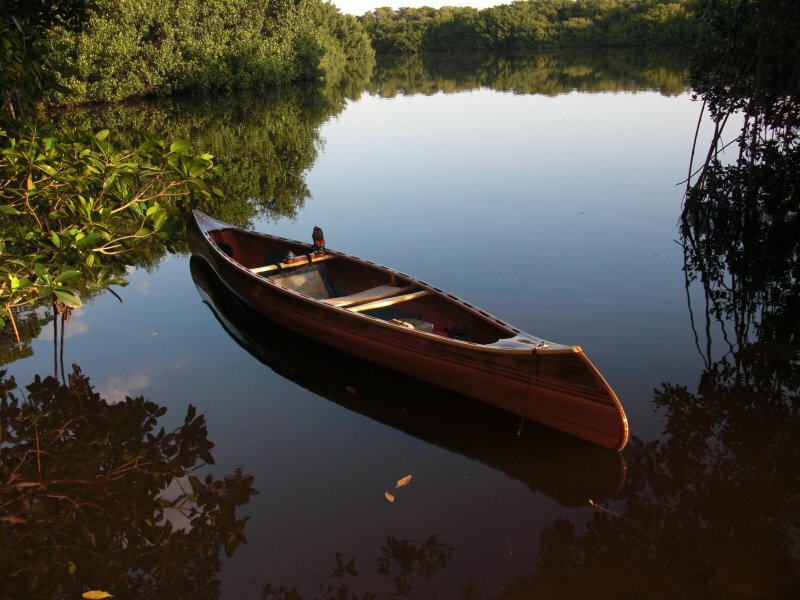 In May 2012, Jay Thomas launched his 15′6″ Voyager Solo canoe in Coot Bay Pond in Everglades National Park at the southern tip of Florida. He spent six months building the canoe, designed by Newfound Woodworks, from strips of cedar, stems, seat, and thwarts of ash, and rails of sapele and ash. Jay will take the 40-lb canoe on camping trips in Everglades National Park and Big Cypress National Preserve.